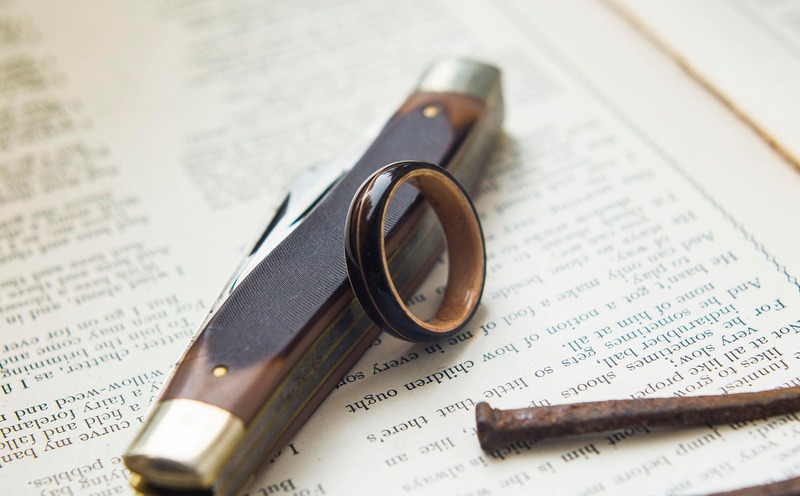 This Classic design from Ring and Grove co is a stunner of a Wooden ring. The Birds eye Maple and Ebony combo makes for a perfect combination, especially with the acoustic guitar string inlayed. 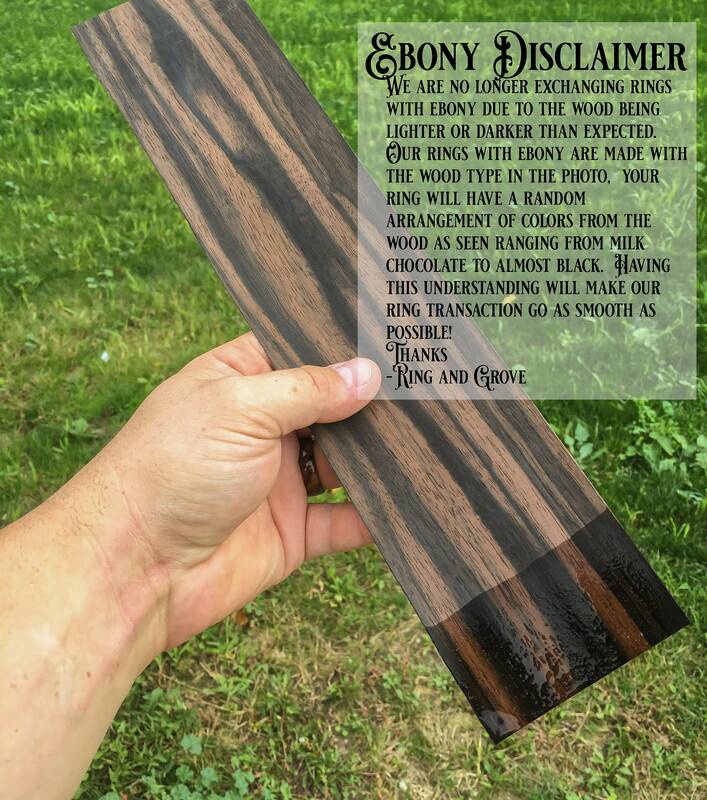 Ebony is prized for its dark color. That being said it is very difficult to photograph! Please look through the photos to see under different lighting scenarios how the wood will look. 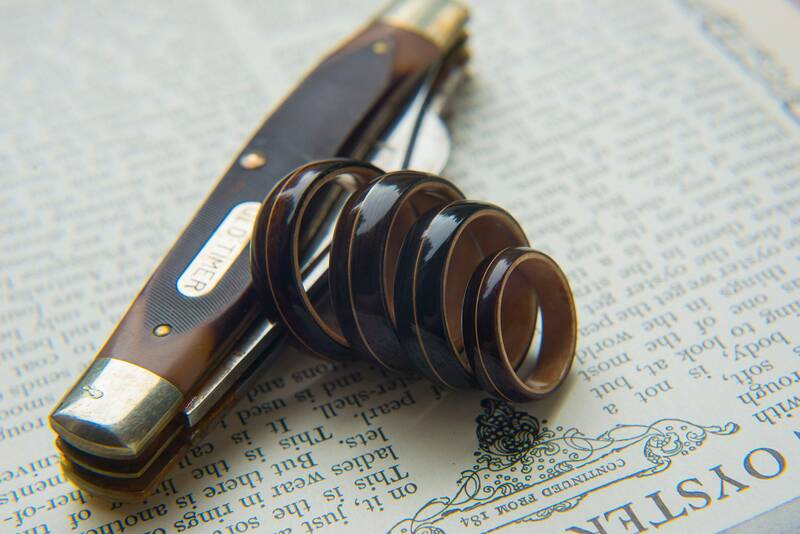 The wood itself has streaks of milk chocolate tones to dark chocolate. 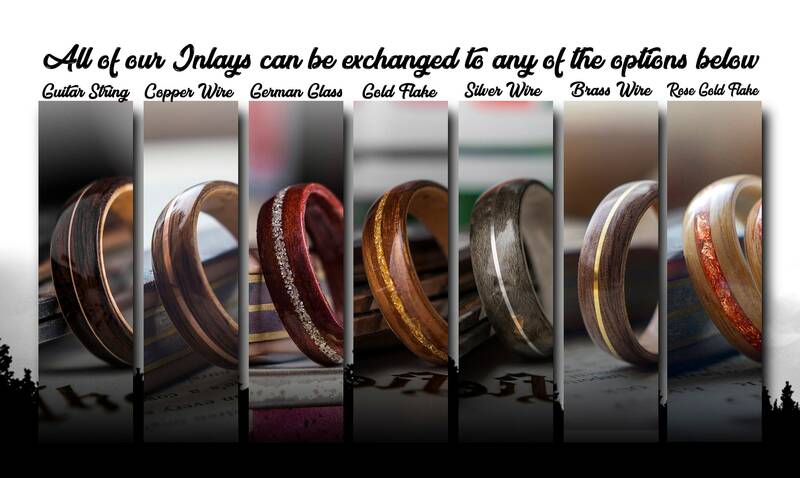 Sometimes a ring might have more or less of one tone and we cant control that. So there just needs to be an understanding that its a natural material and each one is going to be unique. 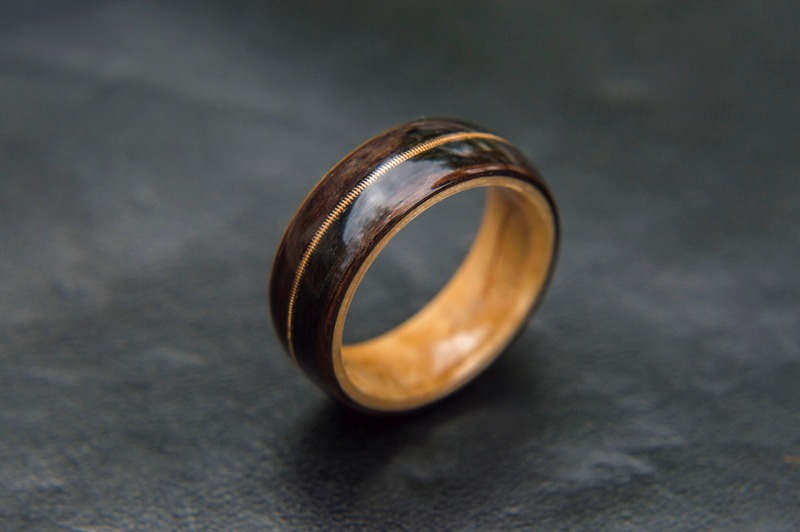 If you are looking for a ring with a more consistent dark color (Although not as dark), Walnut might be the choice for you! 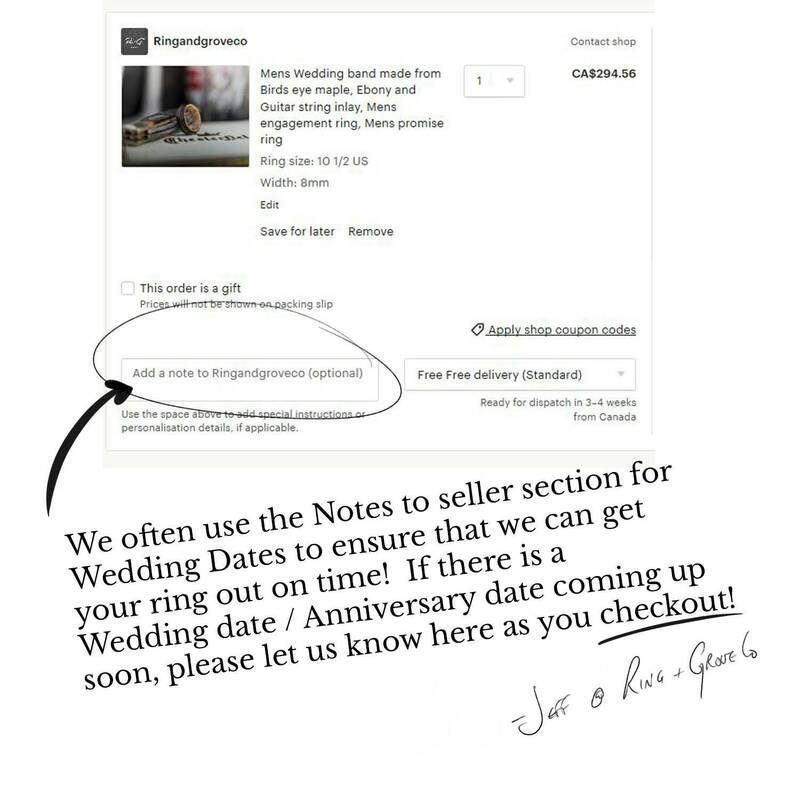 Q: How soon can you ship the ring? Q :Are your rings waterproof? A: Yes! Hand washing, Showering, swimming is fine! Q: How durable are your rings? Q: What if I order the wrong size? I offer free resizing 1/2 size up or down. 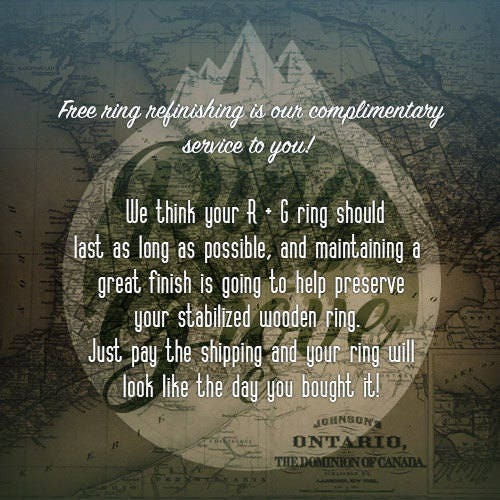 If the resizing is larger or smaller than 1/2 size, a new ring will have to be remade for 50% of the retail value. 30% of the retail value 7 days after the sale. Beautifully made, perfect fit. My fiancée loves it. 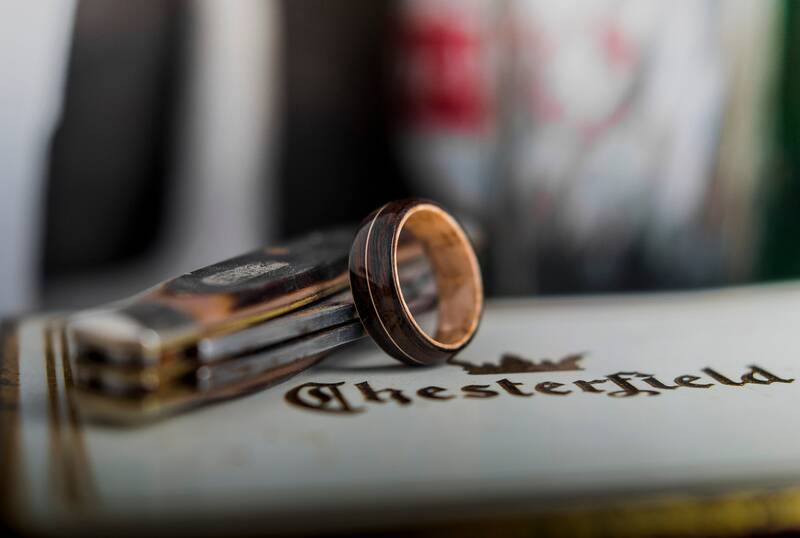 My husband loved his ebony and maple with guitar string inlay ring! 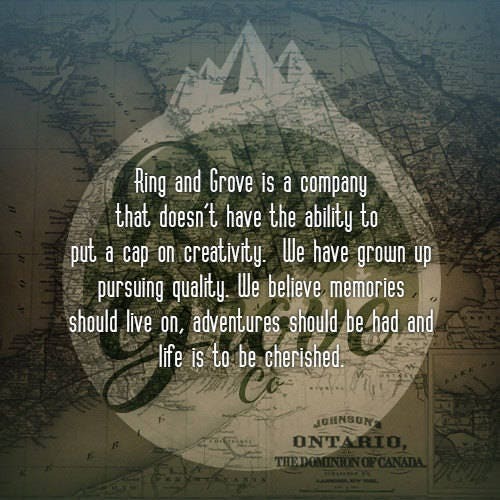 I highly recommend Ring and Grove. They were a pleasure to work with, answered all of my questions, were very personable, and the quality is amazing! Jeff does exceptional work. I was looking for two specific woods and he delivered. Completely original, gorgeous masterpiece! My husband always gets complimented. Thank you, Jeff! We couldn't be happier with how this ring turned out! We requested Koa wood on top with a copper guitar string inlay. Jeff was very responsive to all my questions and made the process super easy. The ring came much sooner than I expected it to and is absolutely amazing. The hard part will be making my fiancè not wear it until our wedding in October! Thank you so much for a truly unique ring!